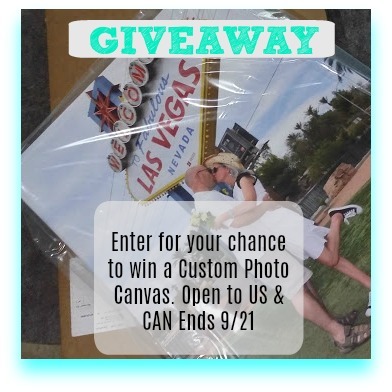 I am extremely excited to be able to offer my readers another great giveaway from Canvas Factory. 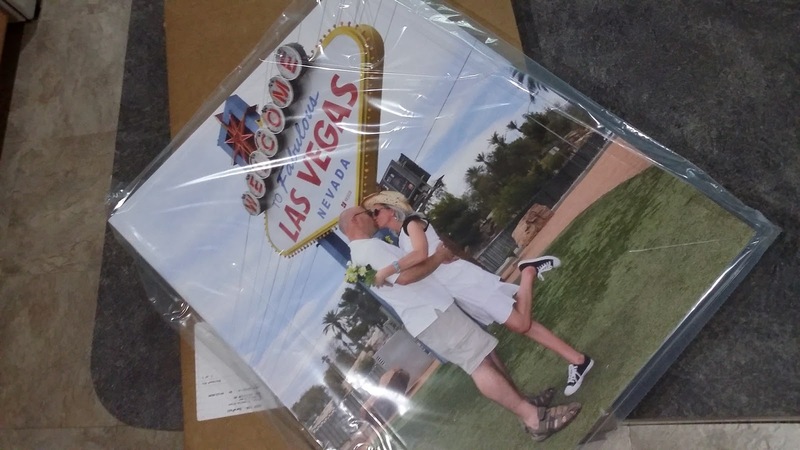 I love my first Canvas Factory photo canvas so much! 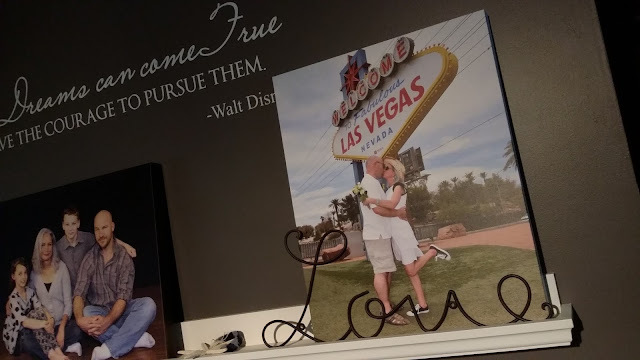 It was easy to customize and order on the Canvas Factory website and the second photo canvas that I ordered from them was just as easy to customize and order. 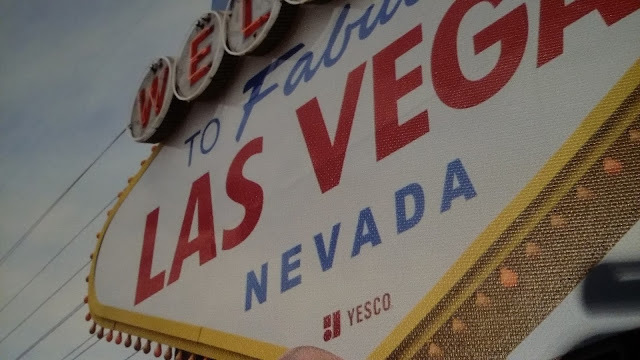 The colors are vibrant, which is good because we had the photo taken in Las Vegas, which isn't exactly a dull place. Ha! If you would like to see the original review about how easy it was to order the Canvas Factory canvases, you can find the post HERE. For that canvas, we used our annual family photo that we have taken every year. I loved it from the minute I unboxed it! I love that that are lots of options for sizes and customization of the canvases. Last time I chose to have the sides of the canvas black. 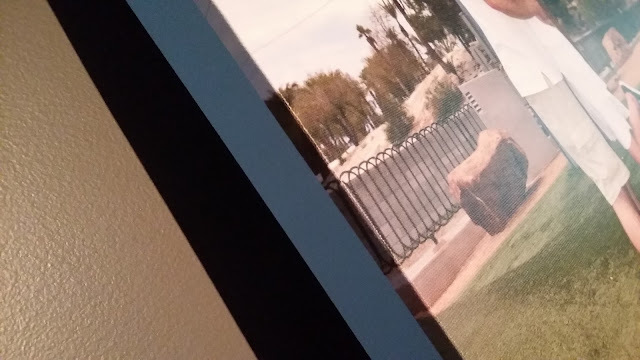 You can also choose to have the photo image "wrapped" around the edges. This time, I chose to get a pretty blue color for the sides of the canvas. You can also have custom text written on the photo anywhere you choose. I skipped the custom text this time. I didn't think it would add anything. I figured this time it was best to just keep it simple! You can see how the image is on the canvas and has the texture of a a canvas below. The canvas came pretty quickly and I had it up on my gallery wall in no time. It's on the same shelf as my last Canvas Factory Canvas! I LOVE these things! You can enter on the Giveaway Tools form below. I'd have a canvas made of a photo of our daughter, her husband, and our new granddaughter. I would do a photo of my family or my grand kids. I would like a photo of my grandsons on canvas. I'd like a photo of my 4 kids at the pumpkin patch. I would love to keep a picture of my granddaughter forever o this! I would like to make a picture of my sister's favourite cat and give the canvas to her as a gift. A picture of my three grandaughters. I'd get a picture of me and my family or my a picture of me and my siblings of an updated picture. We don't have to many with my brother in one. He's never around so that would be nice to get one of the 4 of us. 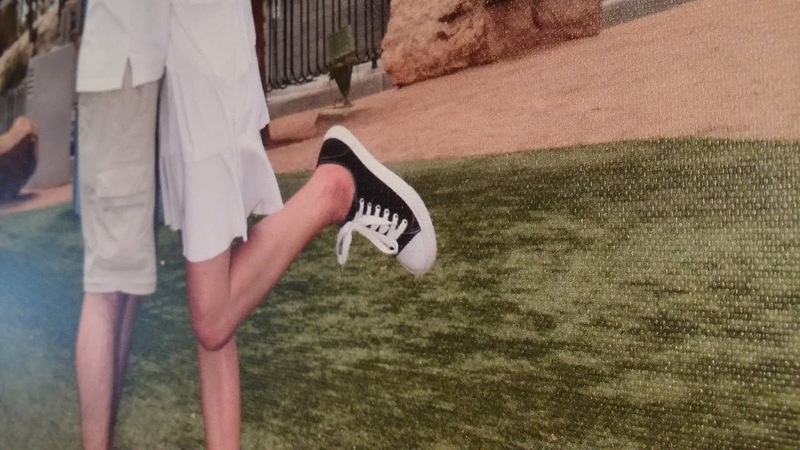 I would use a photo of my kids at the Grand Canyon. I would like to do a picture of all 6 of us! I would keep a picture of my kids. I'd love a photo of my husband and our 2 doggies. I have a photo of me with my grandmother when I was small that I would love to preserve on canvas. I would love to have a canvas of our family. I have 2 sons and 6 grandchildren. I would love to get a picture from our vacation to yellowstone this summer on a canvas! I would do a photo of my son. I have some great vacation photos that I would love to put on canvas! I'd do a photo from a past vacation. My three daughters are grown and two moved out (with the third likely moving out within the next year). I'd love a really nice photo of all three of them on a canvas print like this. We have a really funny picture of the two of us from our vacation to Chicago. I have a great pic of the view from my delivery room w/my 1st kid...NYC skyline. I took a picture in the Yukon this summer that I would love to have on a canvas - It's of Kathleen Lake and it's so beautiful. I would get a family photo done. School trip France - Grade 9 - Picture of Eiffel Tower in the background of my son, Evan's selfie ! A picture to capture a once in a lifetime experience. I would like to use a recent family photo. I would be of a picture I took in Vietman at a temple and it was a fluke that a beautiful woman in a flowy dress was in the background in the most perfect spot! I would get one of my oldest daughters wedding in March this year on a canvas and give it to her as a gift. She would adore it. I'd love to use it for our of Ireland family vacation photos. I've got a great winter photo of my kids I'd love to see on canvas for my living room! a portrait of me and my son. I would put a photo of my son's first day of school this year. A picture of my granddaughter. We got back from our vacation to Nashville this year and have some nice pictures of my daughter and I that I would love to have done! My great-grandparents wedding photo would be awesome on a 16x20 canvas! I would love a picture of my 3 kids. My favorite place in the world, Athabasca Falls, in Jasper National Park. I have always wanted a family portrait in a canvas print or at least one of my kids together! A christmas picture of my niece and sister. I would say a vacation photo. I'd like to get a family photo of us on a mountain on canvas.